William Germano received his B.A. from Columbia and his Ph.D. in English from Indiana University. He has taught at Cooper Union since 2006 and was Dean of the Faculty of Humanities and Social Sciences from 2006 until 2017. He teaches the freshman core, as well as electives on Shakespeare, opera, the history of the book, and an elective on puppets and robots. His newest course is “The Polar Imagination,” which looks at the ways we think and write about the earth’s extreme places at a critical moment of climate change. In 2015 Professor Germano gave "How Shakespeare Works," a free ten-lecture night course in Cooper Union's Great Hall. His scholarly work considers literature and the allied arts, the material culture of the book, and the problems of intellectual production. He is particularly interested in the writing life of scholars, a subject he has written on in Getting It Published: A Guide for Scholars and Anyone Else Serious about Serious Books (University of Chicago Press, 3rd ed. 2016), which has been translated into Japanese, and From Dissertation to Book (University of Chicago Press, 2nd ed. 2013), which has been published in Spanish and Chinese. He has also written on Powell and Pressburger's 1951 film "The Tales of Hoffmann" (2013) in the British Film Institute Film Classics series. His essays have appeared in PMLA, minnesota review, Scholarly Publishing, SPAN, Publishing Research Quarterly, PNR and other publications. 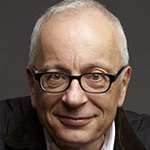 His scholarly essays have appeared in Opera Quarterly, University of Toronto Quarterly, The Critical Pulse: Thirty-Two Conversations with Contemporary Critics (Columbia UP, 2012), and The Humanities and Public Life (Fordham UP, 2014). He is a contributor to the two-volume Cambridge Guide to the Worlds of Shakespeare (2016) and the Oxford Companion to Shakespearean Tragedy (2016). For over twenty years he directed programs in scholarly publishing, first as editor-in-chief at Columbia University Press and then as vice-president and publishing director at Routledge; during his publishing career he developed wide experience with disciplines in both the humanities and social sciences, working with many extraordinary scholars, among them Peter Galison, Jacques Derrida, Cornel West, Gayatri Chakravorty Spivak, Gilles Deleuze, bell hooks, Herbert Gans, Stephen Orgel, Michael Taussig, Dario Fo, Sander Gilman, Stephen Greenblatt, Arthur Danto, Raymond Williams, Paul Willis, Stanley Aronowitz, David Bordwell, Julia Kristeva, Wayne Koestenbaum, James Elkins, Marjorie Garber, Peter Stallybrass, Fredric Jameson, Diana Fuss, and Martin Jay. He has taught in the graduate program in publishing at NYU, is a frequent speaker at academic conferences, and has given workshops and seminars on professional scholarly writing across North America and in Europe, the Middle East, and New Zealand. A trustee emeritus of The English Institute, he serves on the advisory council of the Princeton University department of English, the advisory boards of Johns Hopkins University Press and of Goldsmiths Press (UK), and the board of the Chicago Manual of Style. He has also been a frequent contributor to the Chronicle of Higher Education. His most recent book, Eye Chart (Bloomsbury, 2017), a volume in the Object Lessons series, considers the history of one of the most familiar of graphic designs -- the common eye chart -- and examines its cultural life from the seventeenth century to the present day. He is working on a book on revising academic writing, to be published by the University of Chicago Press, and a project tentatively called Shakespeare at the Opera: A History of Impossible Projects, which will consider the ways in which Shakespeare's very English plays and characters have been adapted into a very Continental dramatic form.